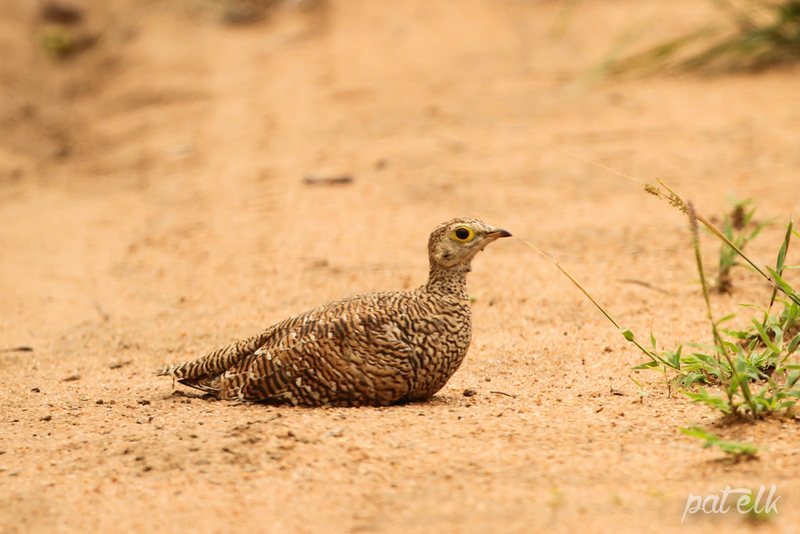 The Double-banded Sandgrouse (Afrikaans name, Dubbelbandsandpatrys) are scarce and mainly seen along the road edges where they have the habit of freezing when disturbed. Usually found in pairs. 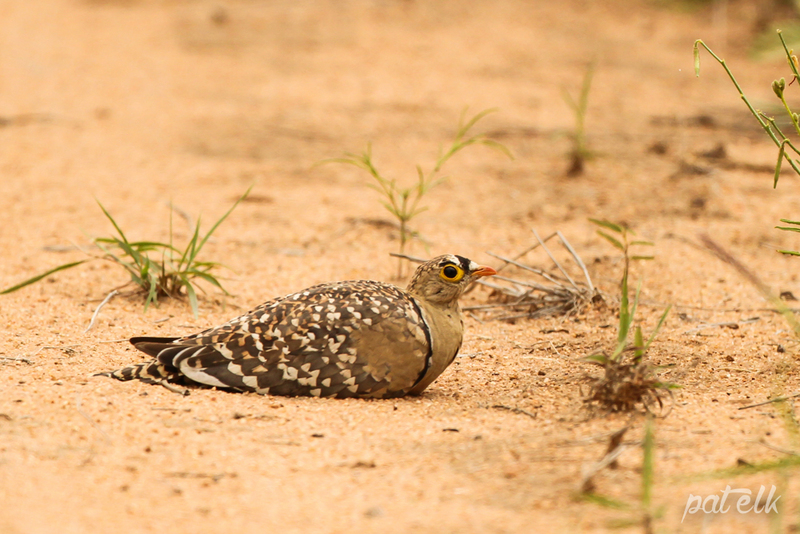 The Male has a black and white forehead band and a narrow black and white breast band. 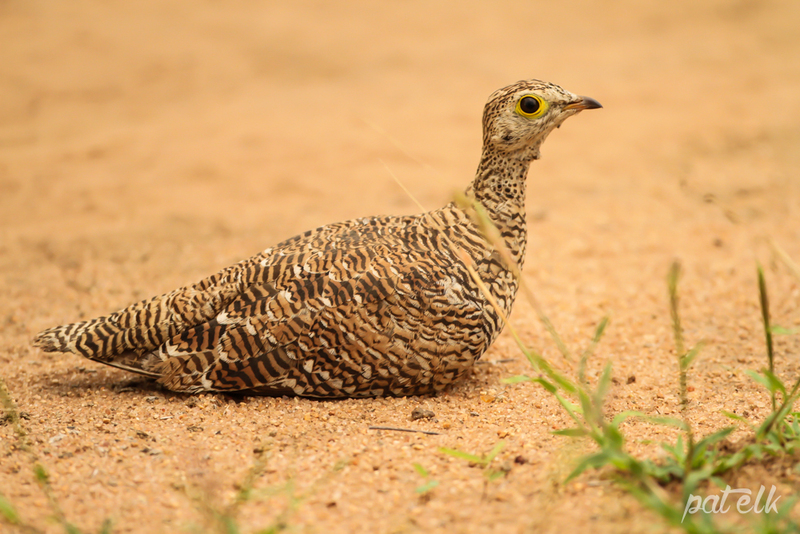 The Female has an allover barred feather design. We saw these in the Kruger National Park.